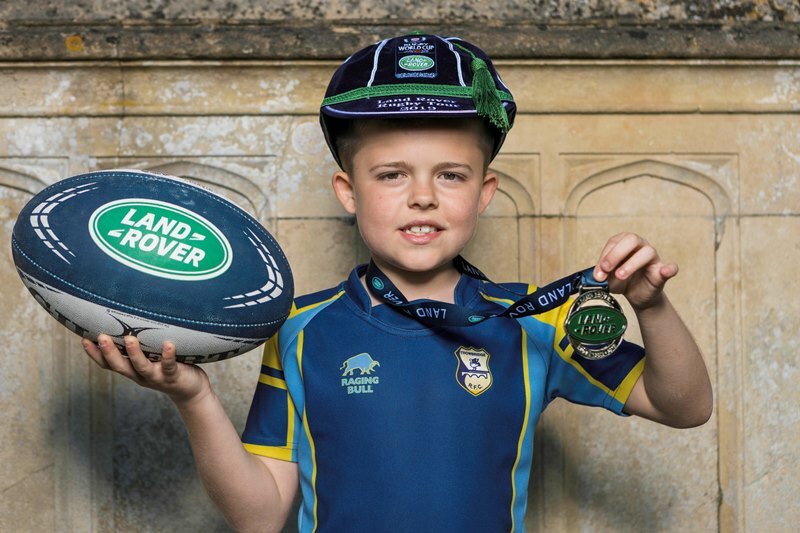 Trowbridge youngster Harley Williams could barely contain his excitement after being named as the first Official Mascot for the 2019 Rugby World Cup in Japan later this year, courtesy of an Official Worldwide partner, Land Rover. Harley, 11, was successfully chosen by a star-studded rugby panel consisting of Rugby World Cup 2003 winner Lewis Moody, and current internationals Anthony Watson, Leigh Halfpenny, George North, and Huw Jones, for demonstrating how he embodied the values of rugby during a Land Rover UK-organised grassroots festival at Bath Rugby’s training ground, Farleigh House. After being selected, the Trowbridge RFC youngster was presented with a bespoke ceremonial Rugby World Cup 2019 Land Rover cap, one of nine caps that will be issued to selected mascots from the UK. Flying to Japan later this year, the Walwayne Court Primary School pupil will lead England out when they play Tonga at the Sapporo Dome. The selection process took part during Land Rover’s Rugby Tour, a grassroots tournament between six affiliate community clubs from Bath Rugby, Glasgow Warriors and Cardiff Blues at Bath’s Farleigh House. Three mascot places were available on the day as each participant submitted a video explaining why they should be selected. And Harley’s strong case showed how he demonstrated the values of grassroots rugby; integrity, courage, pride, composure and capability. With just five months to go until the tournament kicks off, Harley admits he is counting down the days already. “It’s amazing. I can’t believe I’ll be going out to Japan,” he said. “I think I will be a bit nervous but I’ll also be very excited to meet the players. I am a huge Bath Rugby and England fan, so I really hope England win. “At the start of the day, I went on camera and explained about my team and having my team in my heart because I’m the smallest but they make me feel bigger having them all with me. “I never thought I would then be selected. It was great to have the rugby players here to watch us and select the winner. As a Worldwide Partner of Rugby World Cup 2019 (RWC 2019), Land Rover is recruiting 96 youngsters to win a once in a lifetime opportunity to be a match day mascot at the prestigious tournament in Japan. Highlighting Land Rover’s commitment to grassroots rugby, 67 youngsters aged between seven and 13 years old from Japan and 29 youngsters from other competing nations will be selected to walk out onto the pitch alongside a national team at one of the 48 matches from 20 September to 02 November, 2019. Land Rover ambassador Watson said that opportunities like the Land Rover Rugby Tour were imperative for promoting rugby at all levels of the game. 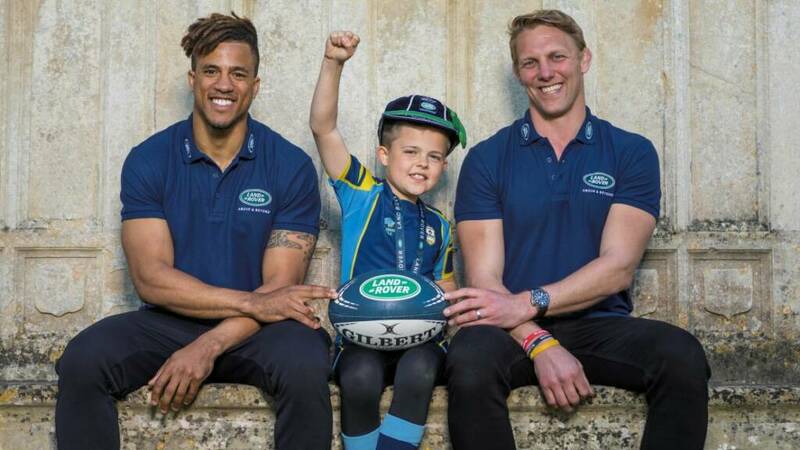 “It was great to be part of the Land Rover Rugby Tour and play a part in making Harley’s dream of going to Japan come true,” said the Bath star. “Rugby is a sport built on its values and they are just as important as a player’s ability on the field. “All players personified those values, so it made for a really tough selection process but we were really impressed by Harley. “He showed it’s not about your size – it’s about working hard and continuing to help your teammates. He summed it up really well in his pitch.